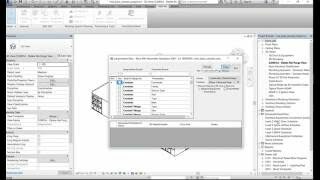 Paramnesia is a program to help Autodesk® Revit® users and managers proofread their BIM parameters. Revit models contain hundreds and thousands of parameters, names, and families. This tool will check all these parameters against a master file that you control. If any parameters do not comply with your master "nomenclature file," this program will print a schedule of them for you to review and modify. Such a versatile plug-in. I keep finding new ways to use it. I'll never have misspelled views ever again.